MASKerade: CASology 76 - Party! 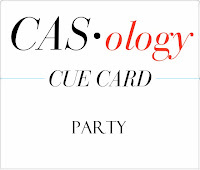 The new CASology Cue Card is Party! And it's a two-weeker, my friends! That's right - two weeks to enjoy yourselves and all the holiday festivities and still have time to play along! When I sat down to make my party card, it occurred to me that Party does not lend itself to CAS. Parties are full of people, noise, food, mess and FUN! But as usual, the DT has risen to the challenge! I chose to show lots of people at my party, but I kept it CAS by making them stand in a row and hold hands so there could be lots of white space! lol! This is a MFT die (and as you can see this is a girls-only party!). To add some fun, I stamped a balloon in a rainbow of tiny pops of colour and drew in the 'string' with a Copic Multiliner. A Simon Says Stamp sentiment finishes it off. Now it's your turn. Enjoy your holidays, but know that CASology is here for your party cards when you get a chance. The deadline will be Sunday, January 5. And don't forget to check out the rest of the DT to see their party cards! Ardyth I just fell in love with the row of party girls with their sweet balloons the moment I saw them! Merry Christmas to you and your family my friend, lunch in the new year. Oh Ardyth, I love your party peeps with balloons!!! Nothing says party like a balloon, and you have several!! I sure hope that you are back with hydro and all is in tip top shape!!! You are one of my shining stars of 2013, and I look forward to seeing you shine in 2014!! Love your row of girlies with the colorful balloons! Merry Christmas to you and your family, Ardyth!!! This is just so creative and just so "Ardyth!" Love this clean and simple creation! Happy Holidays to you and your family! This caught my eye straight away.Love this card. Oh my goodness--I knew this was yours the moment I saw it. Fabulous--I love that row of colorful balloons. 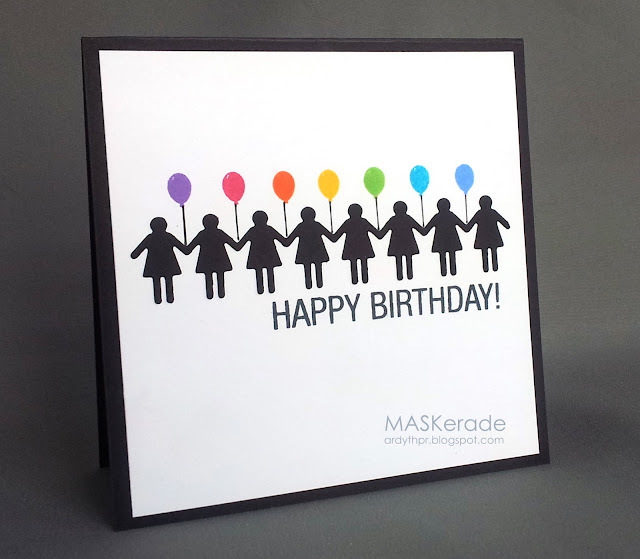 Love your card with the colorful balloons! Happy Holidays to you and your family!! Wow...just so fun! Looks like one festive party to me. 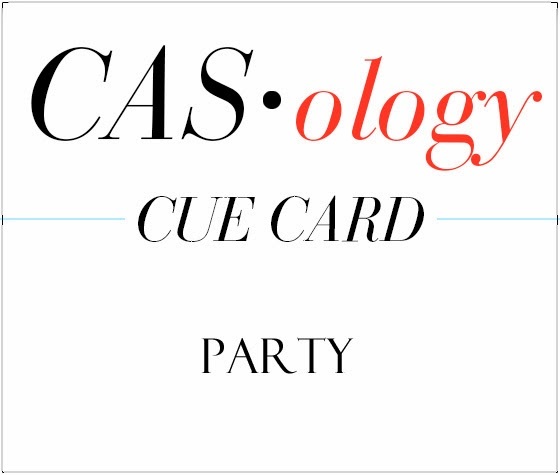 Ardyth, leave it to you to make a perfectly CAS card for a busy cue! I LOVE this festive birthday card!!! I hope you had a very Merry Christmas and I wish you all the best in 2014! love this... the addition of the balloons is genius!! Anyway, hope you had a very Merry Christmas, my friend. Here's to another fun bloggy year. Maybe I'll get to come visit you! HI Ardyth I love your card. I have entered one this week as well. The colorful balloons are a perfect addition. I am loving this visit to ur blog, have missed a lot during my break. Have a very Happy New year ! !